Update - Go Home Junior bookcase now in mushroom! Update – Go Home Junior bookcase now in mushroom! Cute, huh? My boys will be getting the cloud and brand new mushroom design so that massive, unruly pile of books on their bedside tables can be snugly popped in a chic little spot. 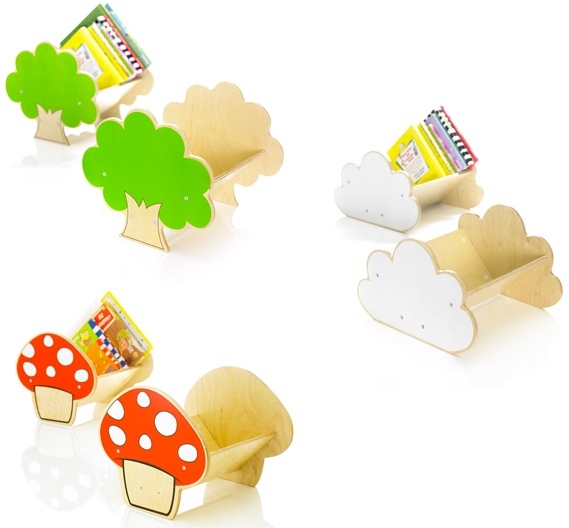 They’re the gorgeous bookcases by Go Home Junior that we told you about in February and there’s a new design to fit right in with the craze for all things woodland, the mushroom! Encourage your toddler to tidy up early in life with these easy-to-manage, easy-to-reach bookcases – they can grab a book and go, and pack them away with a sense of satisfaction! These are sure to be a hit and are $59.95 each from Urban Baby. Families with three kids could consider getting one design for each! Check out the cloud and tree versions too.